Only a masochist would voluntarily fly into “the world's worst airport”, which was what the Philippines' Ninoy Aquino International Airport (NAIA) was from 2011 to 2013, as judged by the merciless reviewers on the Guide to Sleeping in Airports. “Collapsing ceilings, overcrowding, rampant bribery, and taxi drivers scamming travelers on fares” were just a few of the litany of complaints that hung about Manila's principal airport like a bad smell. Major recent renovations have gone some way to address the problem. While NAIA is presently not among the world's worst, it still counts as Asia's 8th worst. Still, that's progress. No surprise that many tourists prefer to avoid Manila when flying to the Philippines. True, the Philippines' capital is a work in progress (or just a piece of work, depending on your POV), but ongoing improvements have made it less of a hellhole than previously believed. 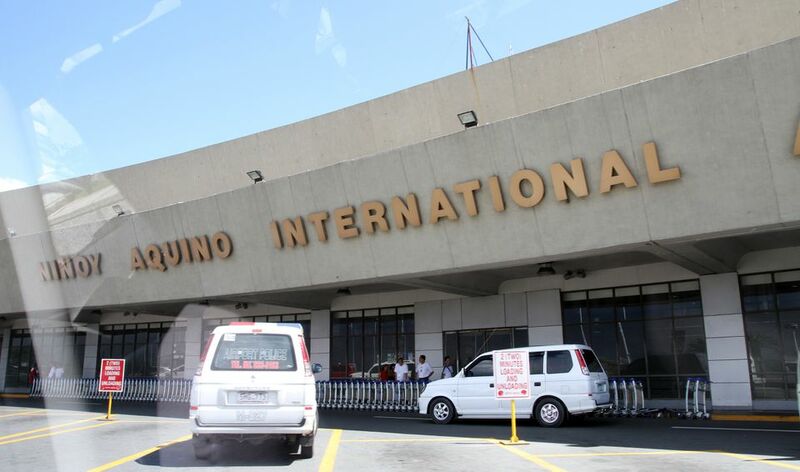 Ninoy Aquino International Airport (IATA: MNL, ICAO: RPLL) went by the name Manila International Airport until it was renamed after the Filipino politician who was assassinated on the airport's tarmac in 1983. The single name can be somewhat misleading: one Air Force base and four different terminals, each physically disconnected from each other, use the common runway. Considering their distance from one other, each terminal may very well be a separate airport unto itself! Terminal 1 is a huge Brutalist concrete hulk designed by a Filipino national artist and completed in 1981. The first international terminal on NAIA, Terminal 1 serves all international airlines except for a handful that moved their operations to Terminal 3 in 2014. The “World's Worst” title is largely due to Terminal 1's decaying infrastructure pre-renovation. While much of the problems have been addressed, Terminal 1 remains terminally congested, still handling the bulk of international flights arriving into Manila. Terminal 2 serves as flag carrier Philippine Airlines' exclusive terminal for both domestic and international flights. The terminal is shaped like an arrow, with its north wing reserved for international flights and its south wing for domestic Philippines flights. Terminal 3 is NAIA's newest terminal, built to address Terminal 1's increasing congestion. Able to handle over 13 million passengers per year, the 20 boarding gates and 140 check-in counters effortlessly handle 4,000 passengers an hour. Philippines budget airline Cebu Pacific operates from Terminal 3, as do Delta Airlines, KLM, ANA, Emirates, Singapore Airlines and Cathay Pacific. This terminal is closest to meeting most international standards – it's nowhere near close to Changi Airport, but luggage check-in counters, shopping and dining options, and its own airport lounge/hotel make Terminal 3 a relatively painless experience compared to Terminal 1. Terminal 4 is a small, one-level domestic terminal lacking a sky bridge. Passengers exit directly onto the tarmac to board one of the airlines servicing this terminal, among them AirAsia Zest, Air Swift (servicing the only flight to El Nido), SkyJet and Cebgo. The entire NAIA complex sits on a parcel of land in Pasay City, one of Metro Manila's constituent cities. Its location puts NAIA between the financial center of Makati; Manila Bay and a rising entertainment/gaming complex on land reclaimed from the sea; and the old city of Manila. Sadly, despite its close proximity to all three, NAIA is hard to get into and out from. Travelers can only get in by taking taxis or private cars, with a single bus service only connecting from one bus terminal outside the airport. Long-discussed rail links between NAIA and the rest of Manila remain a pipe dream. Airport taxis. Each of NAIA's terminals provides for two different kinds of airport taxis: the white coupon taxis that charge a flat rate to their destinations, and yellow metered taxis. The yellow metered taxis charge a flat fee upon flag down/first 90 seconds, with an additional charge for every 90 seconds thereafter. New, first-class bus service now services NAIA terminals 1, 2, and 3. The “Ube Express” departs from NAIA to one of two destinations: the Makati financial district or to hotels along Roxas Boulevard facing Manila Bay. Car rental. You can rent a self-drive or chauffeured car at rental counters in Terminals 1, 2, and 3. As mentioned before, each NAIA terminal could be an airport unto itself, each having its own facilities, in varying states of readiness. Terminals 2 and 3 are the best-equipped, while Terminals 1 and 4 are the worst. Left luggage counters. Passengers flying into Terminals 2 and 3 can take advantage of their respective left luggage counters. Terminal 2 has Central Baggage Services at the south wing/domestic arrivals floor; Terminal 3 has Luggage & More at the southern end of the arrivals floor. Passengers arriving at the other terminals have no such luck. Restaurants. F&B options vary wildly, from the cafeteria-counter style offerings at Terminal 4 to the brand-new, expansive Food Hall at the upper floor of Terminal 3. Shops. Duty-free counters stand ready at Terminals 1, 2, and 3, with Terminal 3's shopping-mall-like layout offering the most and best-quality choices. Internet access. Wifi is free, if spotty, at all terminals, provided by cellphone companies Smart and Globe. ATMs and money changers. All terminals have ATMs and money changers at their respective arrivals floors. Hotels. There are accommodations for every budget within a short distance of NAIA. The Resorts World complex across from Terminal 3 hosts three different hotels, including the Manila Marriott. Travelers who prefer not to leave Terminal 3 can stay at the Wings Airport Lounge, with beds ranging from capsules to family rooms, all available for up to eight hours per person. Part of NAIA's horrible reputation rests on the proliferation of scam artists inside masquerading as airport personnel. The following make up a short list of the techniques scammers in NAIA use to separate travelers from their money. Tanim Bala. Literally “bullet planting”: luggage inspectors will smuggle a small-caliber bullet into your luggage, then extort you for cash or valuables. A major media uproar in 2015 may have driven this out of the airport, but there's no telling when these will make a comeback. Tourist bribes. Corrupt NAIA staff like to give foreign travelers a hard time in a variety of creative ways, like actor Taylor Kitsch being hit up for a new iPhone by an underhanded customs officer. “Colorum” taxis. Yellow airport taxis may refuse to use the meter; unscrupulous coupon taxi dispatchers might take you to an unlicensed car that charges way more than the official rate. These safety tips can help tide you over, the next time you fly into NAIA. Check your ticket to determine which terminal you'll be flying into or out from. You don't want to be stuck in Terminal 3, scrabbling for transportation to your flight out of Terminal 1! Before flying in or out, take advantage of cling-wrap services at your airport of departure (or at NAIA itself), to forestall the possibility of your bag being planted with illegal drugs or bullets. If you're making connecting flights between different terminals, schedule a healthy-sized layover in between. You might need an hour at least just to get from one terminal to another; if you're staying at a hotel outside the airport, you may need much longer due to the capital's notorious traffic situation. Take a taxi to get between terminals; the wait for the Airport Loop may be up to an hour long! To avoid being victimized by unscrupulous airport cabs, ensure that the meter works just before you leave the airport (for yellow cabs), and look up the coupon taxi prices before you get on (for coupon taxis). Finally – if all these tips seem overwhelming to you – avoid Manila when flying to the Philippines. For instance, you can fly through Cebu instead – the Philippines' other major international hub and a fine beach/city destination by itself!